Tune in to Chris Brown's Life, Money and Hope podcast for advice and encouragement! Our kids are growing up in a time where we can download games, stream movies, and talk to people anywhere in the world in the blink of an eye. We’ve never been so connected or so plugged in to technology! This easy access can be great, but it comes with its own set of challenges—like teaching our kids how to be content when there’s not a whole lot going on. That’s especially true over summer break. But here’s the deal: You don’t have to be on 24-hour entertainment duty! You don’t have to fill every waking hour with games, trips and activities. It’s okay for your kids to be bored and learn how to play on their own. That doesn’t make you a bad or lazy parent. And it won’t be the end of the world for them, either. So how are your kids going to handle two months without a regular, structured routine? And how are you going to keep yourself from pulling your hair out before school starts back again? You’re only a few short weeks away from summer break, so it’s good to start thinking about this now. Here are a few ideas to help keep you afloat. Make time each day for your kids to spend time quietly on their own. Suggest that they read, play with their toys, explore the backyard, draw a picture, or work on a puzzle. When children have time to wrestle with their boredom, their imaginations kick into high gear. It might be tough for your little ones at first, but you’ll be surprised how quickly they adapt to entertaining themselves. And you might be amazed at what their creativity can produce! "Unlock their imaginations and encourage them to be comfortable with stillness." Summer is a great time for your kids to learn how to do something they’ve never done before. Maybe you let them sign up for the baseball league. Or encourage them to learn how to play a musical instrument. There are so many wonderful skills your kids can learn—and children soak up information like sponges! 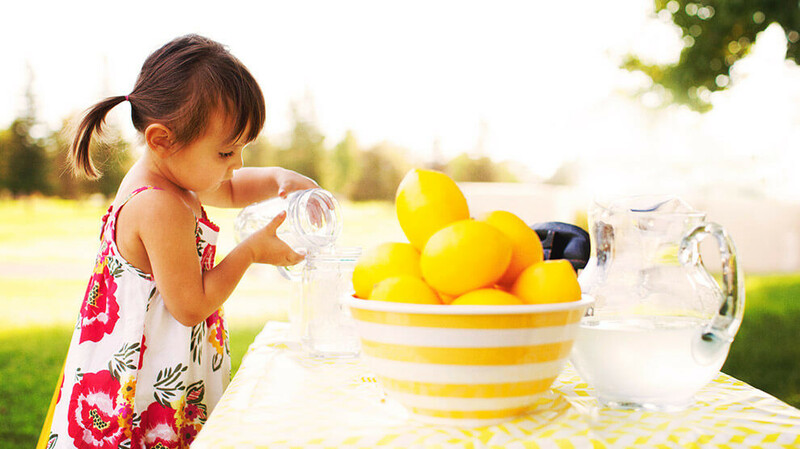 You might even help them set up a lemonade stand, which will not only teach them business skills, but also independence and the value of a dollar. If you can help your kids develop a love for books, you’re setting them up for a life of success! Let your kids pick out their books from the library, and then parents can create a reward system. Maybe your kids get a ticket for each book they finish and tickets can be redeemed for prizes. If your kids are older, you might have them write a book report or give an oral presentation to earn their tickets. Reading helps their imaginations grow and keeps them in a learning mode during the summer months. This is a win-win if there ever was one. If your kids are older, this might be right up their alley. It’s a lot of work to keep the house in running order with your kids running around all day long. Give your children a chance to earn some extra money this summer by picking up some extra chores. It will keep them busy, teach them how to handle more responsibility, and give them some extra pocket money. Plus, you get some help around the house. You don’t need to spend hundreds of dollars on vacations this summer. You don’t even have to schedule activities and trips to the zoo or the movies every day. Let your children experience a little boredom. It will unlock their imaginations and encourage them to be comfortable with stillness. A low-key summer might just be the best idea you’ve ever had. For more parenting tips, read Why Parents Should Allow Kids to Make Mistakes.